The Maserati GranTurismo is one of the few models on the road using that designation that really is a grand touring car. So many manufacturers append GT to their wares in the hopes of infusing the offering with more sporting flavor, when the truth of the matter is in the strictest sense, a Grand Touring car is a lightweight semi-luxurious coupe built on a high performance chassis—designed for street use. 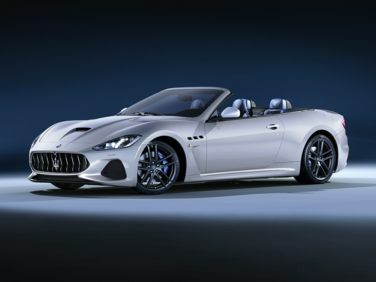 In this regard, the Maserati GranTurismo, essentially the coupe version of Maserati’s Quattroporte sedan, is a true Grand Touring car in every sense of the phrase. Actually, in the case of the Maserati, the car might well go beyond the definition, as there is nothing “semi”-luxurious about the GranTurismo at all, it is completely luxurious. Thing is, pretty much everything in the Maserati GranTurismo’s competitive set will outrun it. The Mercedes SL, the Jaguar XK, the BMW 6 Series, and the Porsche 911 all have more speed and better handling to offer. Further, when it comes to tech, the Maserati is still equipped largely from the 20th century, where all of those cars have adopted the latest 21st century technological marvels to warn you of pedestrians, objects in your blind spots, and etc. However, aside from the Porsche 911, where they can’t best the Maserati is in that indefinable area where “soul” lives. The Maserati has that one covered huge. It’s almost organic in the way it feels and sounds. The interior is plush beyond imagining, but at the same time, it has all of the stuff you need to remind you the car is a capable performer. In other words, the Maserati GranTurismo is a car you’ll want to drive just because you like the way you feel walking up to it, you like the way you feel when you’re in it—and you like the feeling of satisfaction you’ll have when you get out of it. Now, before you think the Maserati is just a pretty face with nothing but image behind it, do know the GranTurismo’s Ferrari-designed 454 horsepower/384 ft-lb, 4.7-liter V8 makes wonderful noises and motivates the Maserati GT with considerable alacrity. A six speed automatic transmission feeds power to the rear wheels and its quoted zero to 60 time of 4.7 seconds is quite respectable. Further, standard equipment includes supple leather upholstery, genuine wood accents, a Bose audio system, dual zone climate control, and navigation. Long story short, the Maserati GranTurismo is a car you’ll love because of what it is more so than what it does. It does do what it will do very well, but the simple fact of the matter is there are a number of cars in its price range capable of doing considerably more.